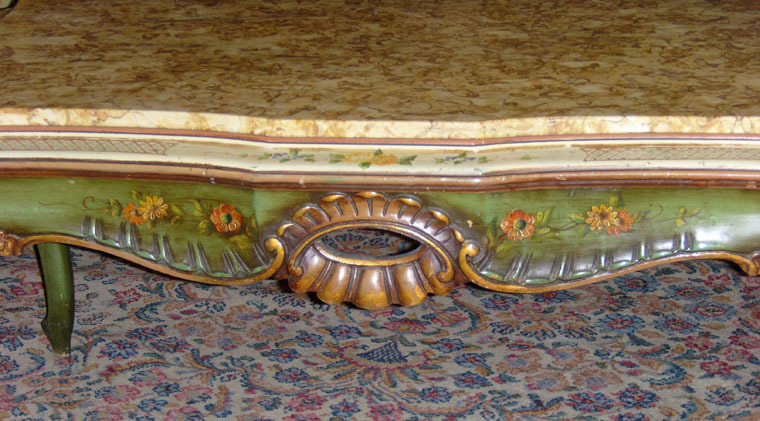 Handpainted Marble Top Coffee Table -- Lovely marble top coffee table, green with tiny handpainted flowers around the marble top and down the legs. 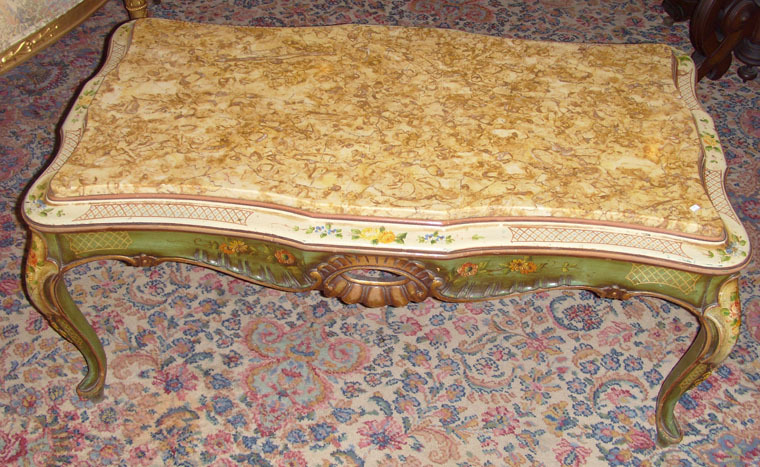 This table dates from the mid 20th century, and is in great original condition. 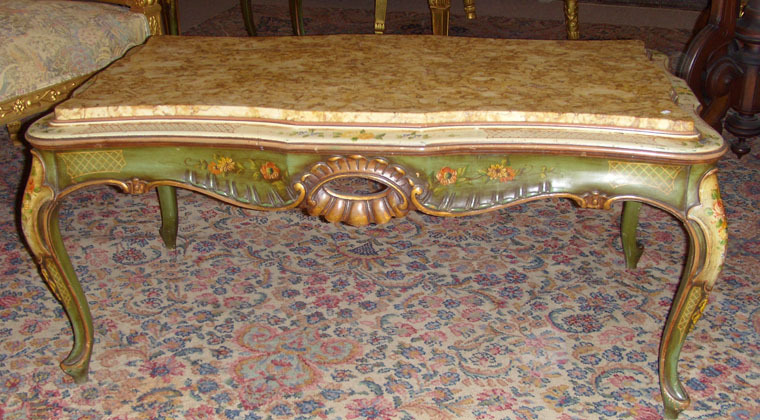 It measures 18" tall x 38" long x 21" deep.